For much of my childhood the highlight of the summer was our annual Wakes Week holiday at Fleetwood or Morecambe or another of the even then slightly faded but much loved seaside resorts which line the Lancashire coast. If we couldn’t manage a whole week, there would be at least a day-trip or two, always by train. 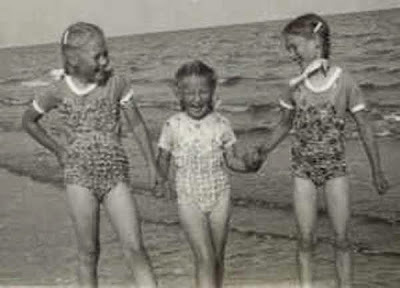 My memories are of buckets and spades, sandcastles, donkey-rides on the beach and first paddling, then swimming, in the always chilly waters of the Irish Sea. When we moved to Mid-Wales in the early 1970s the resorts changed, but the pattern of occasional day trips to the seaside, now by car, continued while our children were small, though with wonderful countryside immediately around us, the pull of the coast rapidly diminished. Instead it was their grandparents who took our two for a week at the seaside from time to time. Now in retirement we are lucky enough to spend extended periods of time in close proximity to a very different kind of coast, empty of resorts, and with not a promenade or wrought-iron pier in sight. Instead, within a very few miles of where we stay, there are cliffs and sandy beaches, little coves and tiny harbours, sandbanks where seals can sometimes be spotted sunning themselves, and the kind of tempting, uninhabited islands that children’s stories were written about in my youth. And what is even more wonderful is that, far more often than not, when you go there you will have these magical spots entirely to yourself. So come with me on a short tour of our favourite corners in this small area of the eternally fascinating and unspoilt coast of the North-West Highlands. to which Ben Loyal and Ben Hope form such a magnificent backdrop. rolling over into the water to catch themselves a quick snack. Continuing north along the Melness peninsula, we come to Talmine Bay. and a final resting place for a long-abandoned one. its boats long gone and half its cottages now in ruins. to allow their boats to be winched up out of the water to safety. to a tiny, nameless beach, tucked between cliff and rocks. Even Perpetua reverts to childhood dreams here. or more sensibly via another path from inland. and across tussocky sand-dunes to reach the water's edge. and look back across to Melness and its hidden gems.